Entergy Screenings Under the Stars Brings Paddington 2 to Kensico Dam TONIGHT! 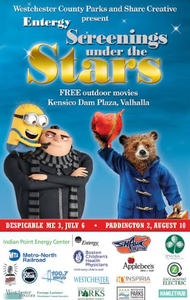 Entergy Screenings Under the Stars Brings Free Outdoor Movie to Westchester Tonight! Head to Kensico Dam Plaza TONIGHT, Friday, August 10 to see “Paddington 2”!